“When you are helping the Hebrew women during childbirth on the delivery stool, if you see that the baby is a boy, kill him; but if it is a girl, let her live". The Bible says that there is nothing new under the Sun (Ecclesiastes 1:9 ). Watching the latest movie, Transformers, the same story told over and over, good versus evil dominates the screen. The plot (you can skip this paragraph if you haven't seen the movie) revolves around capturing the seed; a seed that will permeate evil for eternity according to Megatron (he's the bad guy). So much fighting, so much evil and violence for this seed. This seed must be something incredible to cause such calamity; people dying, robots breaking, explosions, floods...you get the picture. All this death for a seed? The Bible speaks of a Seed too! This Seed from the beginning of time has been a threat; an issue of contention and conflict for the evil that hates the children of God. The Enemy of our soul has been trying to annihilate the Seed forever. We know the kingdoms of those days were threaten; specifically the king of Egypt, the place where the Israelite people were being oppressed. They somewhat understood prophesy; and whether they believed it or not, they did not want to endanger their kingdom, their rule. So, to create such a massacre in their eyes was acceptable. Men influenced by evil. This is more visible in the spiritual than in the natural. The Seed, who as to his earthly life was a descendant of David, and who through the Spirit of holiness was appointed the Son of God in power by the resurrection from the dead: Jesus Christ our Lord (Romans 1:3-4) has always been a threat to Satan. It was not about how many babies were born to the Hebrew women; the fear was that the "Seed" would overcome their kingdom. There has been a plan to rob the Lord of his Authority, Power, Honor, Glory and Dominion since Lucifer was kicked out of the presence of God. A displaced, disgraced, diabolical created being is on a hunt to kill the Seed. Sounds like a movie my friends, but this is as real as it gets! When our enemy realizes that he has been defeated at the cross, disarmed of all power and authority; made a public spectacle as Jesus rose from the dead (Colossians 2:15), he now comes after us--the children of God. There is enmity between his demonic army, true hatred and hostility with those that are associated with the Seed. Why do you think life is so difficult sometimes? Everything is not the devil's fault but he sure is involved in promoting havoc in our lives. Prior to Salvation we are not a threat to him; but acknowledge that we need a Savior and that we are lost without Jesus and it's like a missile activation button is initiated. This Seed that the Bible speaks off, I know him as Jesus Christ, the Savior of my soul. In this story there is also death and blood; not mine, but His! An atonement, compensation to pay for my sin. 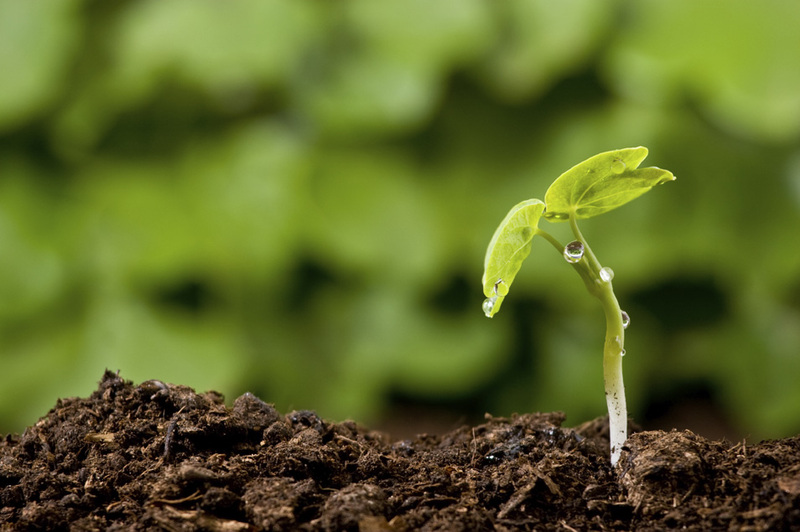 Interestingly, a seed though it seems dead, once planted in the ground will break forth into new life bearing even more seeds and more fruit. Praise the Living God! Hmmm...will there be a Transformer 5? 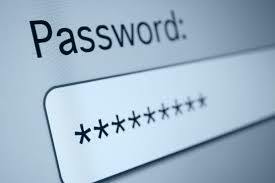 The 21st Century, just about everything I own is protected by a password. My phone rings; swipe to the right to unlock. Was my paycheck deposited in my bank account; log in with password and then confirm. I arrived early at work; doors are locked, need a security card to enter through the door. I began to think about my first encounter with the Lord; my way to reconciliation with the Father. As a Christian and one who loves to worship the Lord, I began to think of the times that I might feel distant from the Lord. Perhaps it's been a decision I made; a little hasty and found myself in error. I stood up late, all due to something beneficial but was so tired in the morning that I rushed out of the house and midway to work realized that I never even said “good morning” to the Lord. He knows it's GOOD because he made the day, but I neglected to acknowledge him and his blessings in my life. Do I need a password to enter in; into the Throne Room; to meet with him? Some may ask what kind of question is that? In my earlier years of life, prior to my encounter with the Lord Jesus Christ, I indeed thought that I could just waltz right into the Throne Room of God and say, here I am; by the way Lord, I've been pretty good; here is what I need. Ouch. The thought was birth out of ignorance and pride. Not knowing enough and thinking I knew it all. An attitude conceived out of someone dead, dead in sin! When we got kicked out of the Garden of Eden the Lord placed a sword and pretty much said, "you can't come in", you need a password (“Liz version”) -Genesis 3:24. The days of walking with the Lord in the cool of the day were gone! During the days of the Tabernacle, there was a room called the Holy of Holies, a room separated by a curtain, a veil, a screen if you will. This separation spoke of a Holy God and sinful man. No access allowed, except for the High Priest (a picture of the true High Priest to come, Jesus Christ). So, we try many ways to enter in; to experience freedom, joy and peace in this world of chaos. We try everything, even “god” but experience nothing of lasting evidence; nothing to prove a real change. Passwords are not new; they have not been invented for out 21st century culture. Since the beginning of time, in order to RESET the damage done in the garden, a password, an access; an entrance; a way back was set. Set by God himself! There is a trail, a road, an unfolding revelation of the plan that God set in place to bring us back to himself. What is this plan; how do I get in; what is password if you will? It’s nothing less than the BLOOD of Jesus! A perfect sacrifice, an atonement to pay for the sin debt we owed. A payment; an access back to the Father. In this world that I live in, if I forget my password, my access code to my bank account, I have to reset the password to gain access. I have to prove who I am and that in my error I have forgotten the way in; the way back to my account. When the Lord made provision for me by sending his Son to die on the cross, to give me access to himself --he too gave a way back, a code to gain admittance back into his presence, his great glorious presence, the Throne Room if you will. A communication line re-established to a Holy God. Liz, you must be born-again. God made provision to “reset” me back to the Manufacturer’s default. When God makes something, He is the Manufacturer of it and he makes no mistakes. Born in sin, his great love has drawn me back; given me the opportunity to receive his great forgiveness as I pleaded that I needed him. Who am I; a child running in rebellion, called back, recalled by the Manufacturer himself. The password, the Blood of Jesus. Yes, to quote a recent song I sang, “I believe in God the Father, I believe in Jesus Christ, I believe in the Holy Spirit and he’s given us new Life. I believe in the crucifixion, I believe that he conquered death, I believe in the resurrection and that he’s coming back again.” YES, I believe. I believe the blood of God’s own son, paid for my sin. So whether it’s a re-call back to himself (my experience many years ago), or tweaking what needs to occur in me (sometimes daily) -- Do it Lord, I am yours! Sometimes after many attempts a computer program will return an error message that reads, "too many attempts', "your account is locked". I fear some may wait until it’s too late. A hardening of the heart sometimes occurs when we reject him over and over. While there is still breath, we must use the password and enter in. He is waiting for us! It’s by the Blood of Jesus that we have access to this great life, NEW life! Now as I enter his Throne Room, I don’t arrive demanding my selfish request. I enter the room at his signal, his gesture and motion; he raises his scepter and says come in daughter. I arrive with thanksgiving and out of his goodness and glory he speaks with me. And yes, there I am with Him, I recognize his sweet presence and my fellowship with him is restored. I sing to him and he sings over me! Access to me was granted when Jesus Christ was crucified on the cross for sinners like me, shed his blood which paid for the sins of the entire world. Oh, by the way, when I reset my password on my computer sometimes I get a message that says, that “password has been used”, try again. When it comes to access to the Father, there is only one word and everyone can use it—THE BLOOD OF JESUS!